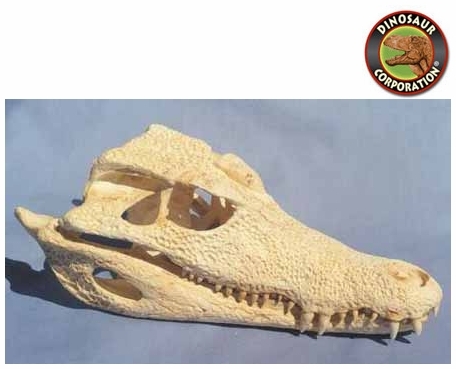 Smooth Fronted Caiman skull. Paleosuchus trigonatus. The Smooth-Fronted Caiman (Paleosuchus trigonatus) is a crocodilian from South America, where it is native to the Amazon and Orinoco Basins. It is the second-smallest species of the family Alligatoridae, the smallest being Cuvier's Dwarf Caiman.An adult typically grows to around 1.2 to 1.6 m (3.9 to 5.2 ft) in length and weighs between 9 and 20 kg (20 and 44 lb).